Currently land surveyors use various measurement methods: aerial photography, GNSS, tacheometry, speciallized methods. Each method has its own characteristics, strengths and disadvantages. Often to achive maximum efficiency surveyors use aombination of few methods. In this article we will talk about the most modern of the existing methods – terrestrial laser scanning. The undeniable advantage of application of laser scanning in land surveying is original three-dimensionality of results. 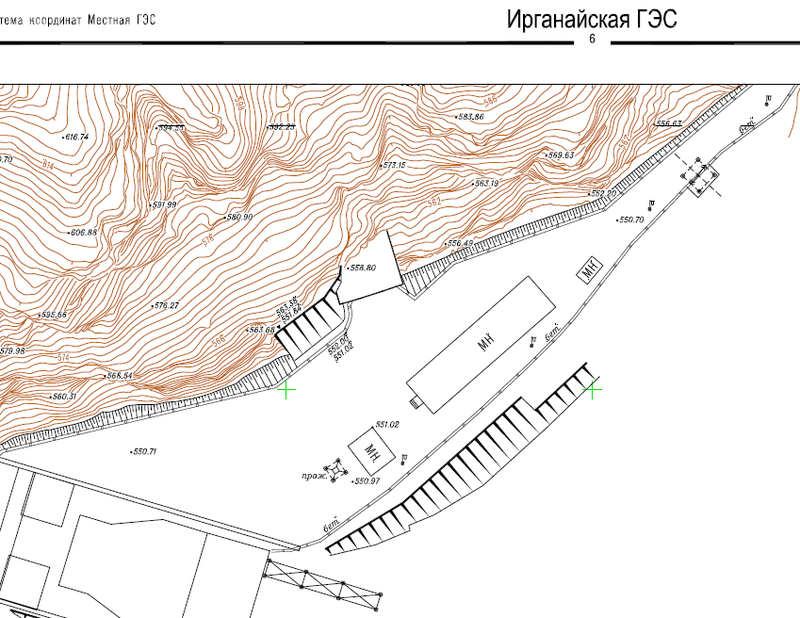 That is, apart from the traditional topographic plan with elevations have the opportunity to receive a highly detailed digital elevation model (DEM), which greatly facilitates the further design in CAD like AutoCAD Civil 3D. 3D Laser scanning has a special value for design of reconstruction, modernization and repair. Complicated land surveying on existing object becomes easier and quicker when using highly automated terrestrial laser scanning. Another important feature of laser scanning is remoteness of measurement. There is no need for surveyor to be on dangerous sites, laser scanner surveys a surface remotely. This factor has a great importance when surveying dangerous stone landslides, open mines, mountainous terrain as well as sites with rigid time schedule. It is rather rational and cost effective to use laser scanning for control of construction of industrial objects, highways, bridges, tunnels. 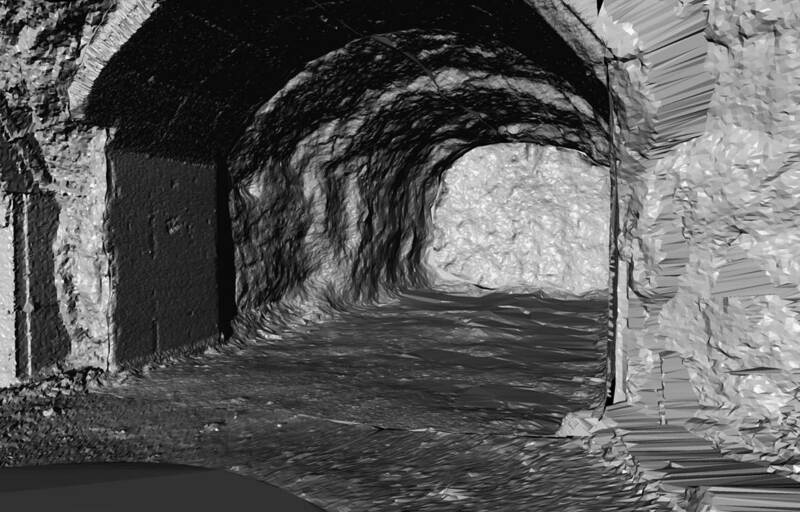 The core advantage of the 3D laser scanning technology, in this case – operability of the data obtained. At the objects with high rates of construction, high density and great amount of objects under control, it is necessary to maintain a team of specialists that perform daily measurements. Besides the high cost of those works, the human factor influence is inevitable that cause delays in schedule times and appreciation of the construction works. Application of the 3D laser scanning technology allows us to minimize the human factor influence based on high degree of data acquisition automation. If there is need to have “as-built” or “as-is” 3D-model of an object and there are a lot of features on the objects that are to be surveyed and measured, it is highly advised to use 3D laser scanning. According to this model, with high accuracy corresponding to reality, possible to carry out different measurements in the comfort of the office, without going to the site. Often it is impossible to take some measurements on a real site, while the virtual model allow us to do it in seconds. Another important feature of the using laser scanning in land surveying is the high degree of automation in the processing of point cloud. For example, there is a possibility to make a set of cross-sections of a point cloud with a variable distance. Sometimes it is difficult to calculate the actual volume of displaced soil or rock during the excavation works. Quick measurement by laser scanning succesfully perform this job. Measuring the micro-relief of a surface, 3d laser scanner calculates the volume of moved earth or bulk material on a dump. When the cyclical nature of the work there is the ability to compare DEMs of different time periods. So we can calculate the volume of displaced earth as well as make mapping of changes. The use of laser scanning to measure the volume of bulk materials in storage can significantly improve the accuracy of the final result. interactive 3D application, virtual tour. Trimetari Consulting LLC has extensive experience in the application of 3D laser scanning in land surveying and mining. Information of the completed projects is available on the Projects page. To receive a complete reference list, confirming the qualification of the company, to order of laser scanning services, to calculate the cost of laser scanning, please contact us via the Contact page.